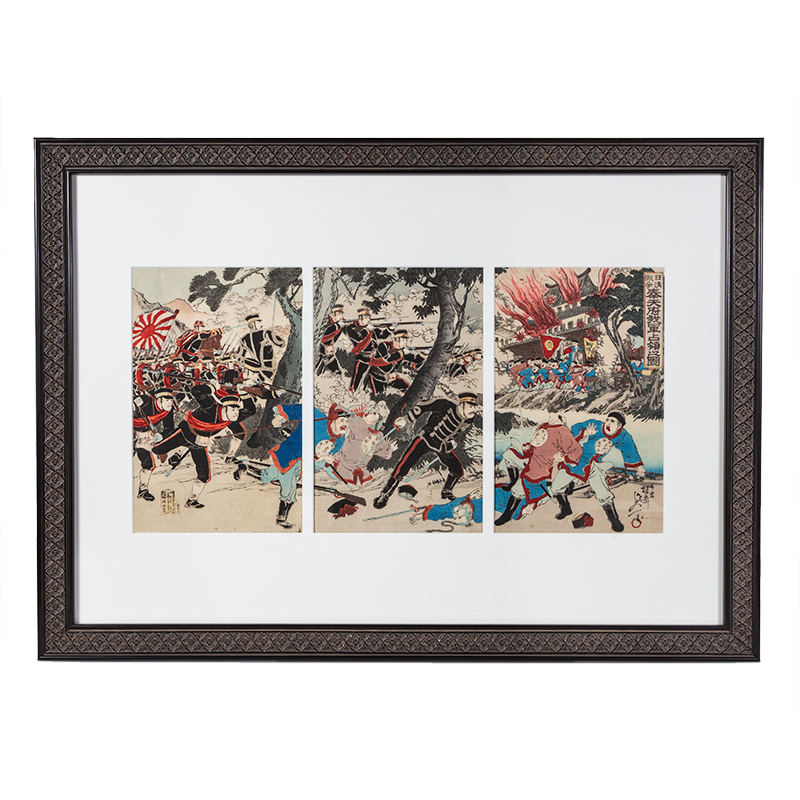 A powerful and dramatic work depicting the Battle at Hotenfu during the Sino Japan War. Japanese Army soldiers are attacking Imperial Chinese troops. Division Commander SAKUMA is seen in the foreground of the centre print and General OOYAMA is also depicted mounted on a horse. 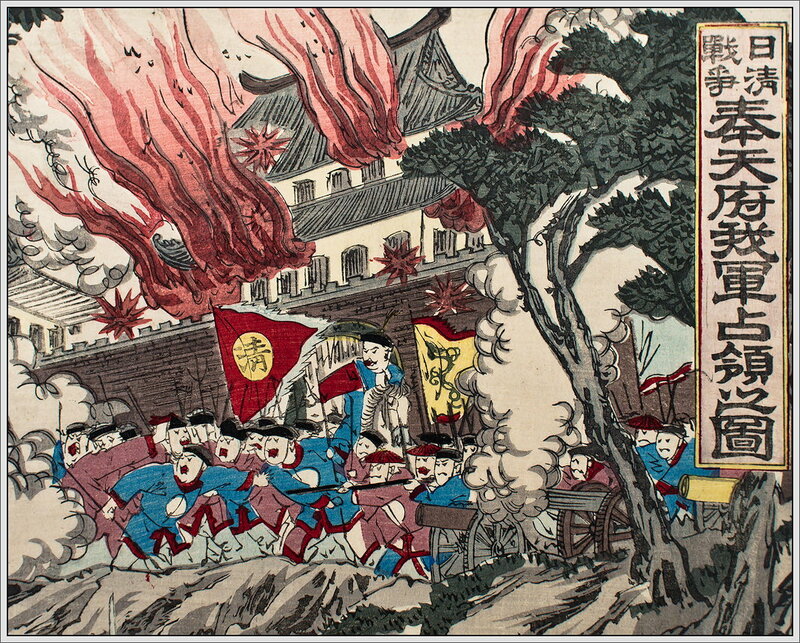 The Imperial Chinese fortress at Mukden is seen in the background on fire and under attack. A very detailed and dramatic scene capturing the intensity and struggle of the battle. 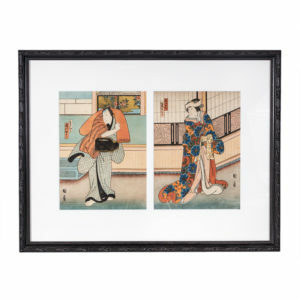 This artwork is Framed to Museum Conservation Standard. Print tipped to acid free foam core backing and mat by rice paper hinges upper corners and wheatflour starch adhesive and True Vue 99% Anti UV Glass.. This item is available for local pickup from Melbourne, Australia. Ooyama was Commander-in-Chief of the 2nd Japanese Army during the Sino Japan War. They landed on Liaotung Peninsula and were carried to Port Arthur by storm. They subsequently crossed to Shantung and captured the fortress of Weihaiwei. For these services Ooyama received the title of marquis and three years later he became field-marshal. He was also named Commander In Chief of the Japanese armies in Manchuria during the Russo-Japanese War of 1904-1905. After Japan’s victory, Emperor Meiji elevated him to the rank of koshaku (duke). 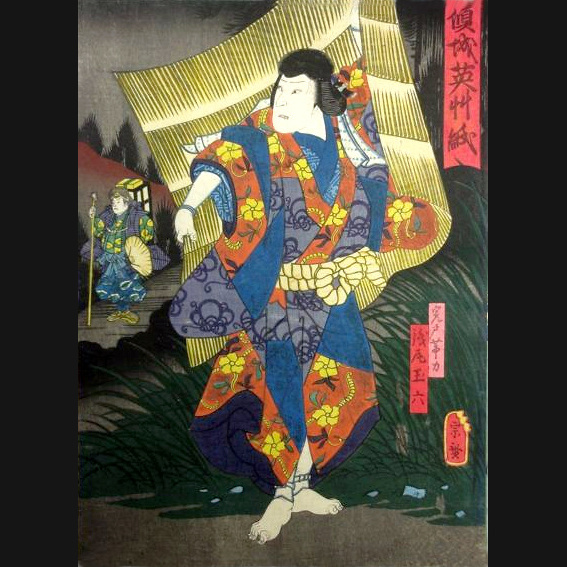 Nobukazu was also considered the best of Chikanobu’s disciples. 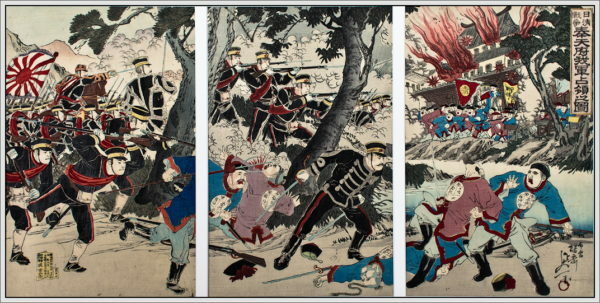 He is famous for his prints of the Russo-Japanese war as well as scenes of the Meiji Emperor.